9:00 AM — On Monday, Google officially announced that they will be purchasing the popular company Nest Labs for $3.2 billion cash. The two companies reportedly reached a deal for that amount, and you can read more about it in the press release below. 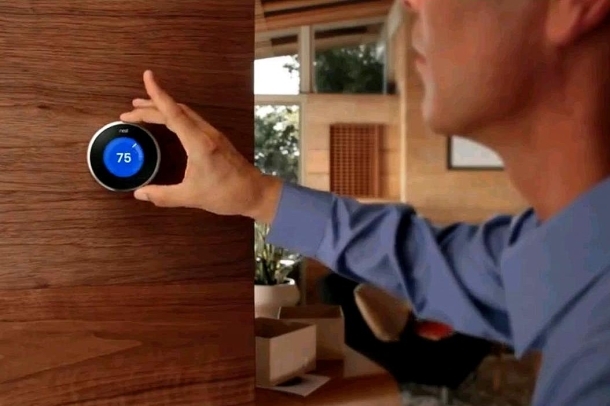 Nest Labs is the smart thermostat maker founded by former Apple executive Tony Fadell, who is credited with being the godfather of the iPod. This purchase will cost Google an all-cash transaction where the company will pay the full amount in cash. Now that Google has acquired Nest Labs, you may be wondering why the company made this purchase in the first place. First, if you think about it, Nest has been one of the most impressive hardware startups to date. Given Rogers and Fadell’s past history with Apple, both have years worth of experience that allow them to develop and think like the minds at Apple. Google has been pushing further into the home, trying to make things easier for families. According to CrunchBase, Google Ventures helped lead Nest’s series B funding round in 2011, with the company having raised a total of $230 million. The company has been increasingly involved with the forefront of “Internet of Things.” The Internet of Things is expected to be a $14.4 trillion opportunity over the next decade for companies that participate in it, according to Cisco presentation, so Google of course wouldn't want to miss out. Google constantly collects data, best utilizes it, and allows for consumers to make better, smart choices in their daily live. Of course Google has been nailed in the head with fines left and right for infringing on peoples rights, but that has not stopped the company from advancing their plans. The push in a connected-home is not that far away. Other companies such as Samsung are already creating internet-capable products like washing machines, dish washers, and ovens. Whether this category will explode with in the next years is currently unknown, but we'll find out soon enough, won't we?